Development Status: Been under constant development for many years, Alpha is equivalent to many other games’ full releases. Requirements: Windows, Linux, or Mac. 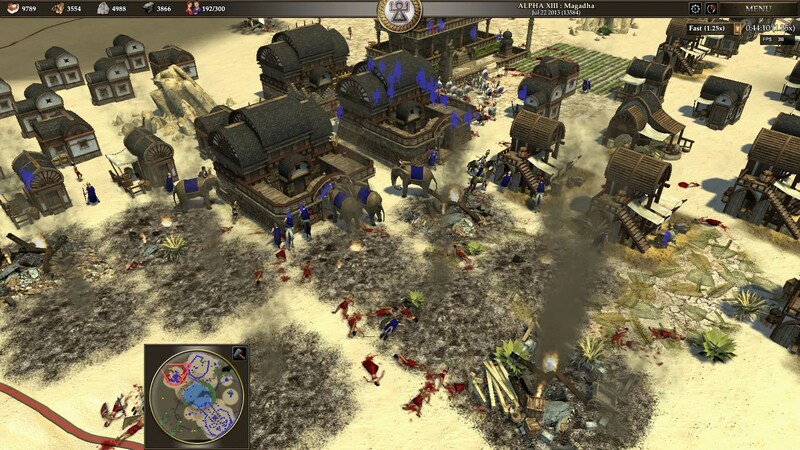 Description: A free, open-source, cross-platform real-time strategy (RTS) game of ancient warfare covering from approximately 500 B.C. to 500 A.D.
Twelve Civilizations: Romans, Carthaginians, Celtic (Britons, Gauls), Hellenic States (Athenians, Spartans, Macedonians), Iberians, Mauryan Empire, Persian Empire, Diadochi (Successor) States (Macedonians, Seleucids, Ptolemies). A screenshot of 0 AD in which a city is being destroyed. Mike Williams. O A.D. Raises the Game for Open-Source RTS. BetaNews. 6/14/2012. Next story Hussar Games’ 1848 Turn-Based Strategy Game.